The city of Winchester is located 61 miles southwest of London and 14 miles from Southampton. As a result, it is an easy day trip from either of these major cities. In addition, because it is along the route between London and Southampton, it is a convenient stopover before or after a cruise. Winchester is an ancient city. By the time the Romans arrived in 43 A.D., people had been living in this area for nearly 200 years. The city flourished in the Roman era but when the legions withdrew in 410, it went into a rapid decline. During the Dark Ages that followed, Germanic tribes invaded England and the land splintered into a number of kingdoms. 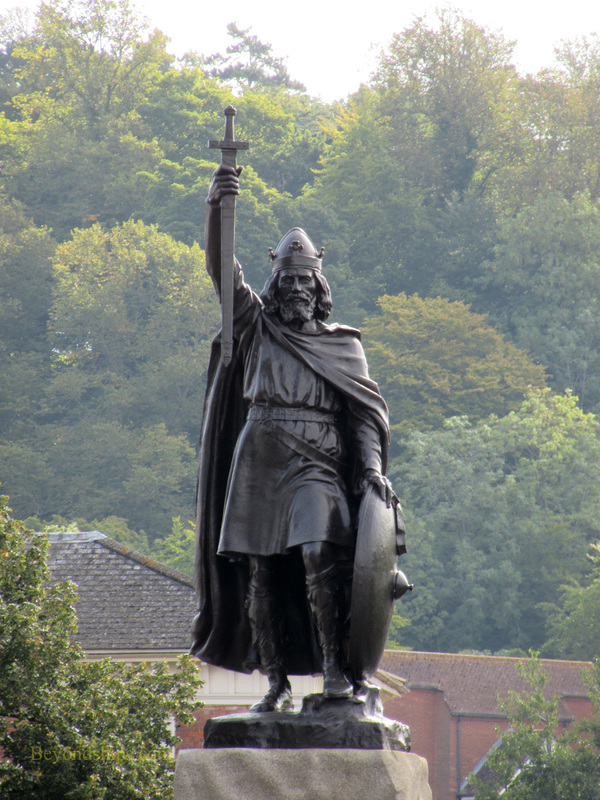 Winchester again flourished when Alfred the Great made the city the capital of the kingdom of Wessex. Winchester continued to be an important political and spiritual center during the Middle Ages. It was a royal residence and various battles and intrigues took place here. In addition, it was a cathedral city with pilgrims coming to worship at the shrine of St. Swithun. However, as London rose in prominence, Winchester went into decline. Today, Winchester is a prosperous small city. Because of its location, close but not too close to London, and its scenic beauty, Winchester commands high real estate prices. Its town centre is clean and pedestrian-friendly. 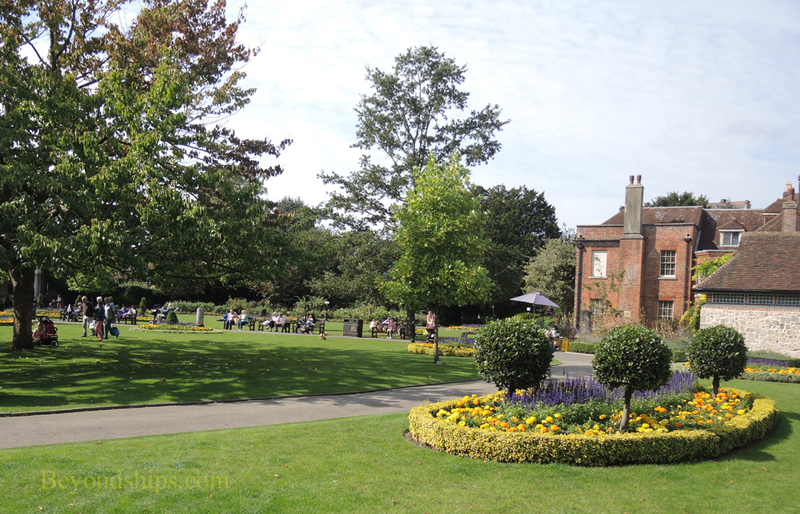 Below: In addition to history, Winchester has attractive gardens.